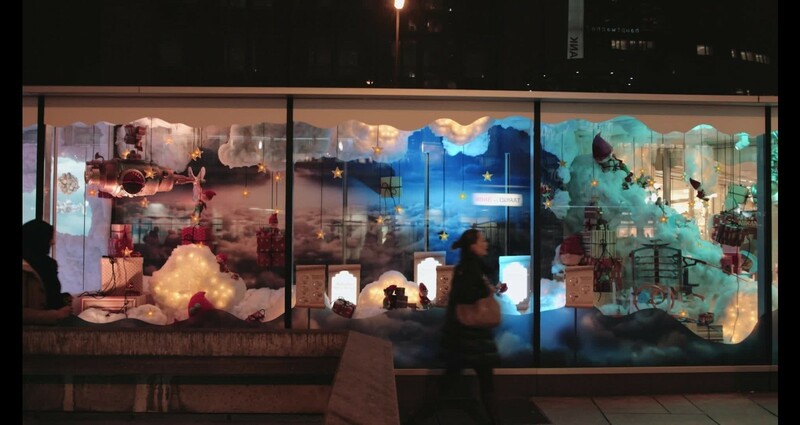 The briefing of Galeria Kaufhof, was to design an interactive Christmas-window. 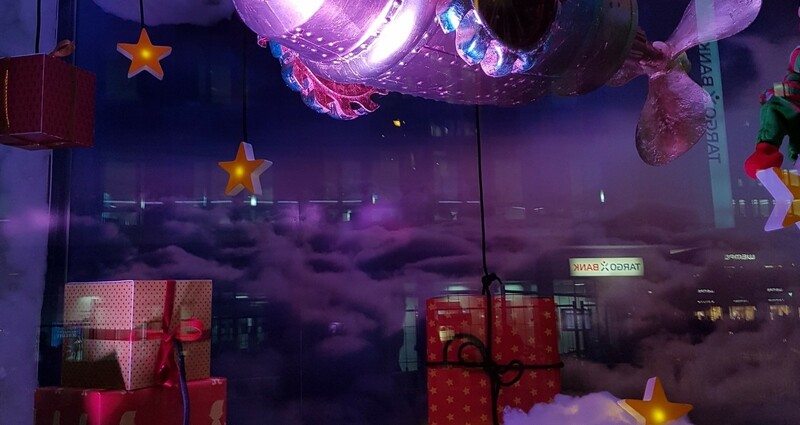 A shop window, which tells a story and encouraging customers to come to the store and spend time to buy their christmas gifts. Inside the window a variety of toys hover on white clouds. 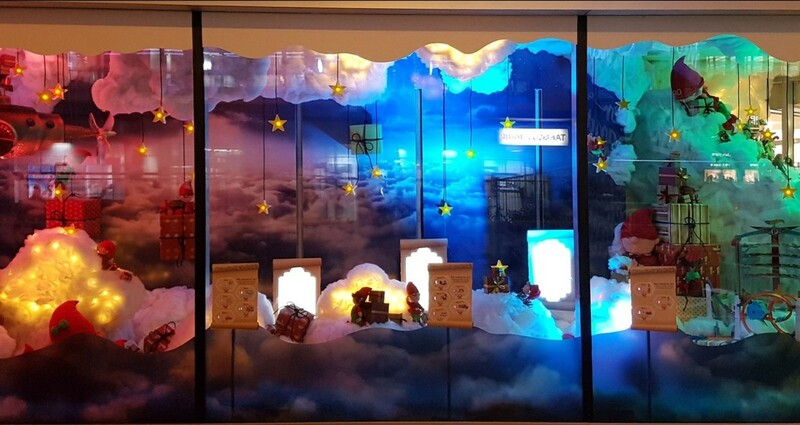 Outside children young and old can choose their desired items from three wish lists (touch membranes attached to the window). One window further a fantastical airship delivers the gifts along a video screen on the backwall. 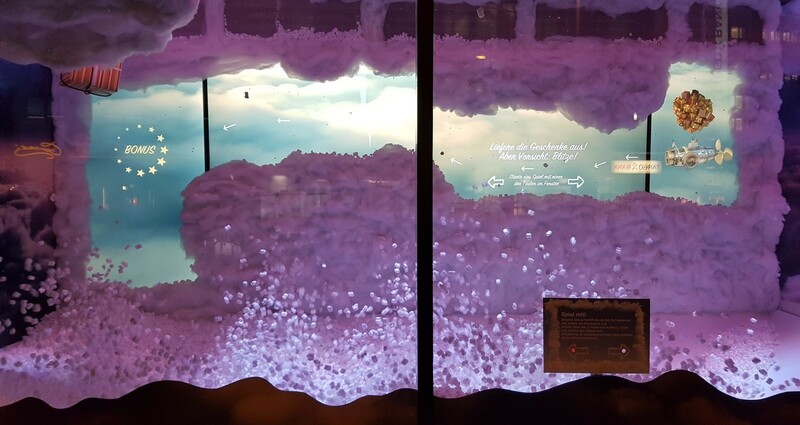 It can be controlled via another membrane that sticks on the glass while four fans blow small styrofoam snowflakes into the air. If a lightning flash on screen hits the airship, the gifts will fall and you have to start again. Not so easy, but successfull players will be rewarded with a small present, which the children can pick up from the toy department.